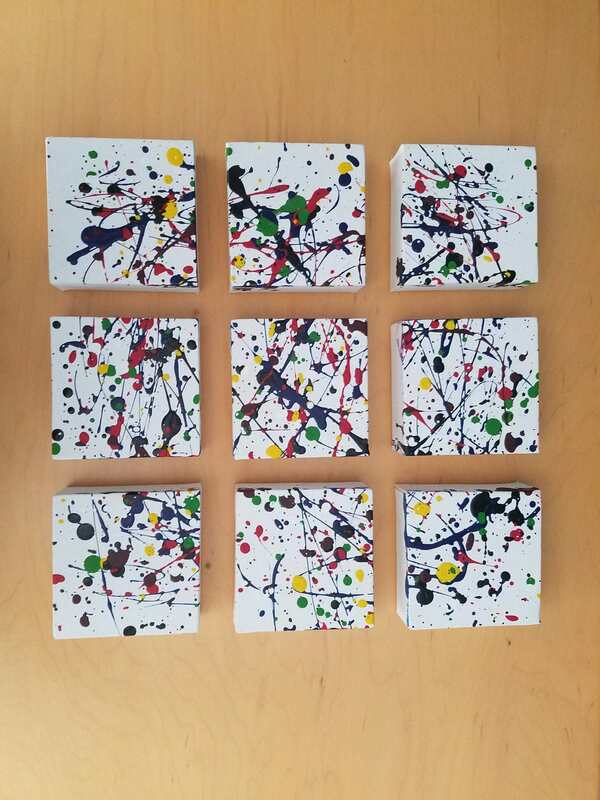 This listing is for a set of nine (9) original acrylic paintings on 4x4 canvas (1.25" deep). 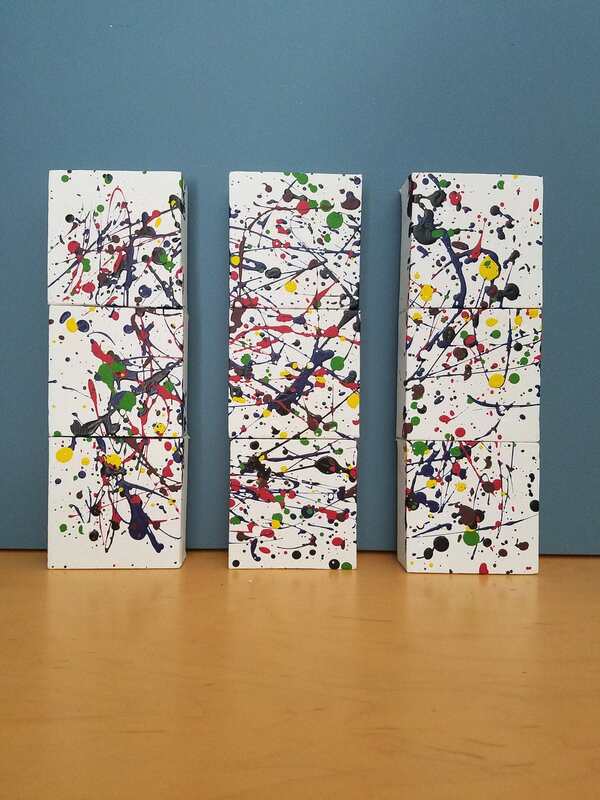 They were painted together so when hung together with approx 1-2" between each canvas creates a unique and modern wall display. 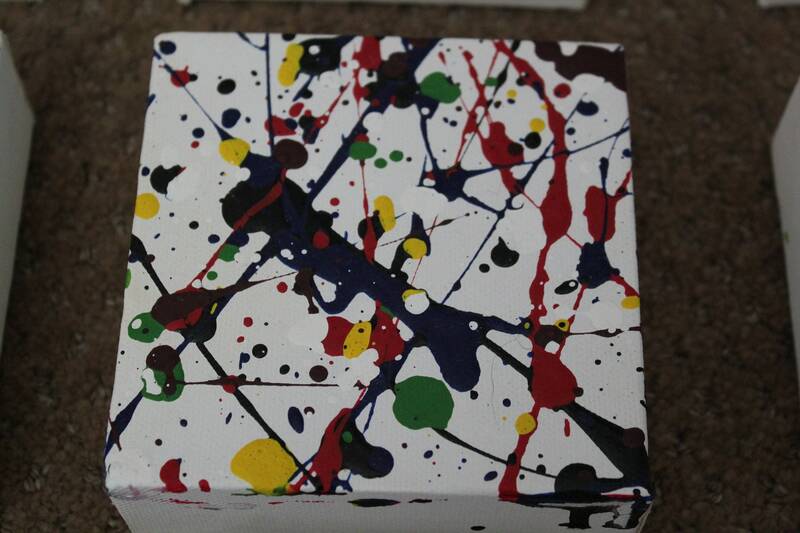 The canvas are signed on the back to allow for different hanging directions. The second photograph is a close up of the center canvas. These do not come with hardware to hang (to allow for different hanging directions). The sides are white, but I can paint them black (or any color) upon request.